I've already showed you how to magically unlock your Samsung Galaxy S3 with the simple wave of a hand, but why stop there? 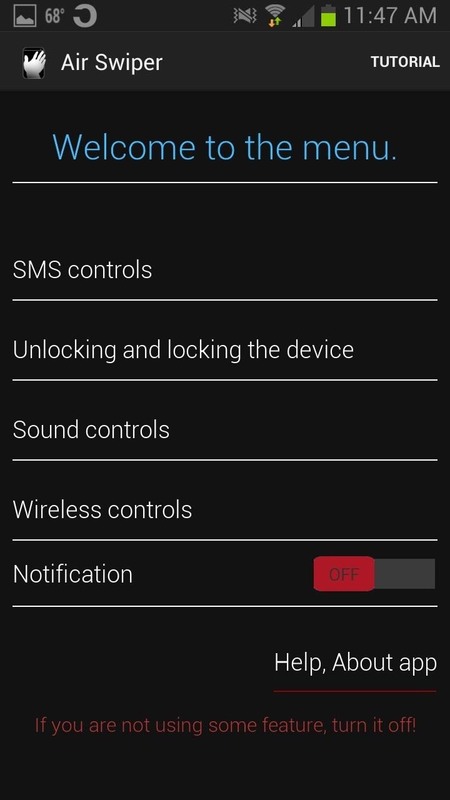 Sure, you could go out and purchase a Samsung Galaxy S4 so you have Air Gestures that let you control the lock screen, SMS, sound, wireless, and more. 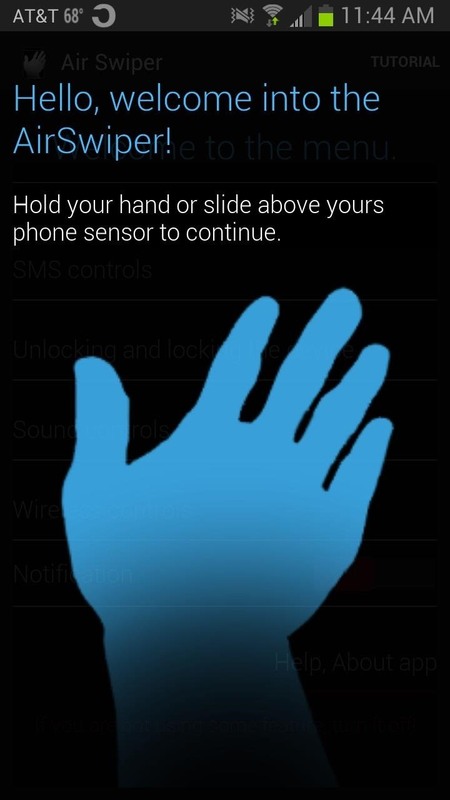 Well, you don't need a GS4 to enjoy Air Gestures, because thanks to Android dev Jirí Helmich, almost any Android device running 4.0 or higher can partake in these awesome features with Air Swiper, free on Google Play. After you've installed Air Swiper, there will be a short tutorial that walks you through the functions of the app. Once that's over, you can continue to the initial set up. From the welcome menu, you can select the section that you wish to setup first, either SMS, Lockscreen, Sound, or Wireless. The air gestures will work by holding your hand over the sensor (located near the camera lens) or swiping your hand over the sensor. So, if you enabled SMS controls, you could open received messages by simply holding you hand over the sensor. 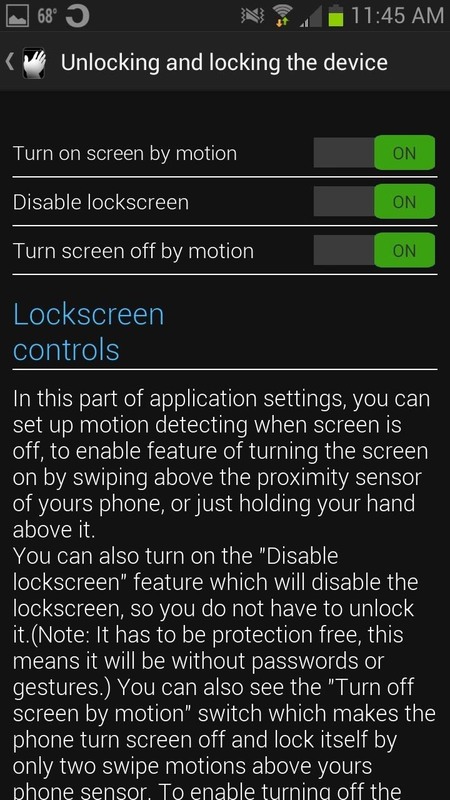 When using the Lockscreen controls, you'll notice that the screen does not have to be on for your gestures to be recognized, a feature missing in the MagicUnlock app I showed off previously. However, you cannot unlock the Lockscreen with Air Swiper, and instead must disable it if you wish to go from the screen off to back to using your phone. You can fix this by using both Air Swiper and MagicUnlock together, which will let you turn on your screen and unlock the Lockscreen without ever touching your phone. After turning on your desired features, you can go ahead and test them out. 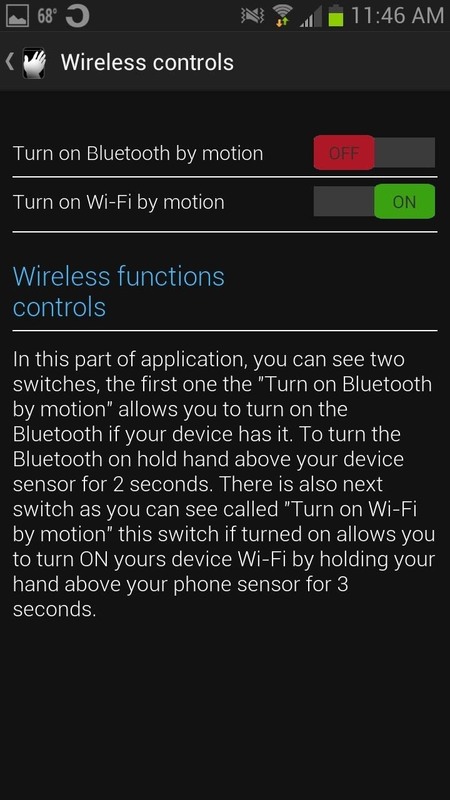 For air gestures like turning OFF and ON your device's wireless, you will feel a vibration, informing you that the gesture has been recognized. Air Swiper has received rave reviews on Google Play and has worked just as described for me so far. So, if you want Air Gestures on your Android device and don't feel like shelling out copious amounts of cash for a GS4, then this is your best bet.